Dai-ichi Karkaria is one of the pioneering Specialty Chemical companies in India. We commenced production in 1963, in technical collaboration with the renowned Dai-ichi Kogyo Seiyaku Co. Ltd., of Japan. We have over 50 years of experience in the development and manufacture of high-performance specialty chemicals for various applications. Using modern technology, we continue to produce and market products to optimize and enhance our portfolio, providing intelligent solutions tailored to our customers’ needs. We aim to deliver the highest quality products, whilst contributing to conserve resources. At Dai-ichi, sustainability and innovation are key factors in all our business operations. Dai-ichi has collaborations with market leaders known for their pioneering Specialty Chemical technology. Our technical collaborators are leading manufacturers and exporters of high-quality products to various countries. Champion Dai-ichi Technologies India, established in 2010, is a joint venture between Dai-ichi Karkaria Ltd. and Champion Technologies, a leading global specialty chemical company. In 2013, Champion Technologies was acquired by Nalco, an Ecolab company, and our JV was renamed Nalco Champion Dai-ichi India. NCDI currently services and supplies the oil field chemical market in India. The company has extensive experience in traditional & non-conventional oil and gas production for deepwater, heavy oil, oil mining, shale oil & gas and coal bed methane. NCDI’s R&D supports a fit-for-purpose products line, applied by field experts based on thorough analysis and sophisticated modeling technology. Dai-ichi Kogyo Seiyaku Co. Ltd (DKS) commenced its operations in 1918 focussing on the production and sales of surfactants and other fine chemicals for a variety of industries. With continuous investment in R&D and focus on business expansion, DKS now exports high-quality products to over 40 countries. Dai-ichi Karkaria India has a technical collaboration with Dai-ichi Kogyo Seiyaku Co. Ltd. who provided us with the initial surfactant technology in 1963. More recently, they’ve supplied our photo polymerisation technology for the manufacture of polyether polyols and polyacrylamides at our Kurkumbh plant. Matsumoto Yushi-Seiyaku Co. Ltd. started operations in 1926 as manufacturers of oils and sizing agents for textiles. They are one of the leading manufacturers of a wide series of textile chemicals, which form more than 60% of their production. Our technical collaboration with Matsumoto has enabled us to indigenously manufacture a range of textile auxiliaries (both for dry & wet processing). Today we are one of the leading suppliers for world-class spin finishes and sizing agents for polyester filament yarn. Commercial production commenced at Kasarwadi Plant in technical collaboration with Dai-ichi Kogyo Seiyaku of Japan. Developed the first demulsifier in the country, used to start the Oil & Natural Gas Commission’s Demulsification plant. Received Certificate of Merit from the National Research Development Corporation for import substitution work. Developed the first Pour Point Depressant in India at the request of the Oil & Natural Gas Commission for Bombay High. Technical collaboration with Matsumoto Yushi-Seiyaku Co. Ltd., Japan for sizing agents for Polyester Filament Yarn & Spin Finishes. Won an award from the Indian Merchants Chamber for original research in the development of Pour Point Depressants (PPD). 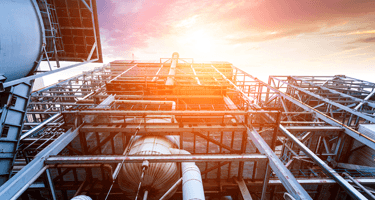 Starts supply of Oilfield chemicals to ONGC. Established a joint venture with Baker Petrolite for the manufacture of oilfield chemicals. Dai-ichi Karkaria Ltd. went public and was a listed company on BSE. Undertook expansion for spin finishes at Kasarwadi. Invested in flocculants plant at Kurkumbh, near Pune. Setup a pharmaceutical facility at Hyderabad. Established a formulation facility for the manufacture of various maternal health care products. Pilot Plant is inaugurated by the company’s director, Prof. Sune Bergstrom, Nobel Laureate. Tie up with Dr. Reddy’s Laboratories Ltd. for the sale of its maternal health care products in the country. DIK Pharma Unit at Hyderabad is transferred to the newly created joint venture company, Inogent, in collaboration with GVK Biosciences. Acquired 40% stake of Baker Production Services (UK) Ltd. in Basic Oil Treating (India) Ltd. making it a wholly owned subsidiary of the company. Executed shareholders’ agreement with Champion Technologies Inc., to form a joint venture, viz. Champion Dai-ichi Technologies India Ltd.
Ecolab Inc. acquired Champion Technologies Inc. New name for the JV is given as Nalco Champion Dai-ichi India Pvt. Ltd.
Joint venture with GVK Biosciences in Inogent stands concluded. Preliminary land development commences at Dahej. The essence of our CSR is to ensure we have a positive impact on society and the environment around us. Through the Maneckji and Shirinbai Neterwala Foundation, we are actively involved in providing medical support to patients suffering from diseases such as renal failure, cancer, heart problems, lung disease, etc. In addition, we provide medical equipment for special needs children. The foundation also awards educational scholarships to students that have excelled in their local schools. We support the Jimmy S. Bilimoria Foundation providing aid for palliative health care in areas around Maharashtra. Our mission is to add value to our customer businesses by providing quality products and solutions tailored to their needs. We pursue value creation, profitability and the long-term growth & success of our company, employees, customers, and stakeholders. To develop high-quality products for our customers using modern technology, proficient R&D, and sustainable operations and to strengthen our market position locally and globally. We persistently engage with customers and key stakeholders to experience our growth journey together. Over the years, customers have partnered with Dai-ichi to create advanced products, challenging our R&D team to design new methods and processes utilizing cutting edge technology. Fifty years ago, Dai-ichi developed the first demulsifier in India and over thirty years ago, Dai-ichi and the first PPD in India. Today, we remain at the forefront of innovation, pioneering the latest advancements across various industries. Dai-ichi driven by its business ethics, embraces sustainability in all of our operations. We work towards continuous improvement in creating products and processes that are clean, with minimum use of hazardous chemicals, promoting efficient chemical synthesis. 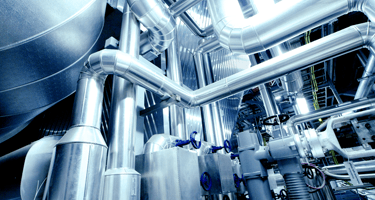 We work with a focus on product design, process efficiency and environmental health & safety. We have built our reputation by developing quality products and supporting the highest standards of integrity towards our employees, customers and environment. We maintain a true and transparent relationship with our stakeholders. Mrs S. F. Vakil is the Chairperson & Managing Director of Dai-ichi Karkaria Ltd. She has been a whole-time director from 1979 to 1992, and thereafter the Managing Director. 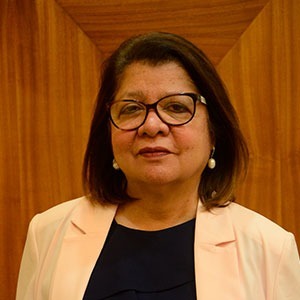 Her education includes a Master of Arts in Industrial Psychology as well as an MBA from the U.S. She is an active director on the Board of Nalco Champion Dai-ichi India Private Ltd. and Indian Oxides & Chemicals Private Ltd. Besides her professional assignments, Mrs Vakil is a trustee of Maneckji & Shirinbai Neterwala Foundation, a trust started by her father that primarily supports secondary education and provides medical help to the poor. She is an active Rotarian since 2001, and has chaired various Rotary committees. Adi H. Jehangir graduated in B.Com in 1978. Since then he has been a keen observer and investor in the equity markets and has gained valuable experience in this field. He is also a partner in various LLP's that are active in investment management. He is a trustee of several charitable organizations that support education, art, employment and religious causes. Dai-ichi has collaborations with market leaders known for their original and advanced specialty chemical technology. Our technical collaborators are leading manufacturers and exporters of high quality products to various countries. 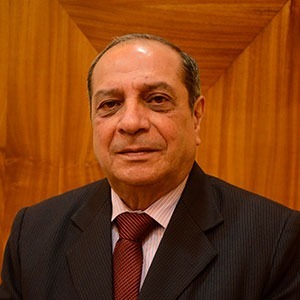 Mr. Kavas Patel has a Bachelor of Commerce degree from The Sydenham College of Commerce and Economics, and has been fellow member of The Institute of Chartered Accountants in England and Wales since 1972. His area of expertise lies in the financial management of the company. He is on the Board of Tasty Bite Eatables Ltd., Nalco Champion Dai-ichi India Pvt. Ltd., Indian Oxides and Chemicals Pvt. Ltd, Uni Klinger Ltd., Inarco Pvt. Ltd. and Zinnia Properties Pvt. Ltd. He is a Trustee in charge of finance at the Sardar Dastur Schools Trust, which manages five educational institutions. Mr. Keki Elavia is a Chartered Accountant by profession with more than 45 years of experience in the fields of accounting, audit and finance. 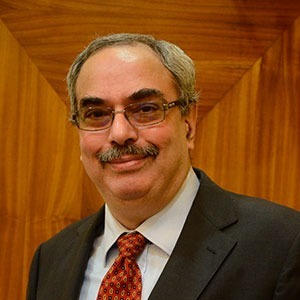 He is also a non-executive independent director at a number of companies, such as Goa Carbon Ltd., Allcargo Logistics Ltd., Grindwell Norton Ltd., DCB Bank Ltd., Godrej Industries Ltd., Godrej & Boyce Mfg. Co. Ltd., Tata Asset Management Ltd., Go Airlines (India) Ltd. and The Bombay Dyeing and Manufacturing Company Ltd. He is a trustee of several charitable organizations established for supporting education and religious causes. Dr. Anil M. Naik is a gold medalist from IIM, Calcutta and holds a Ph.D. in Strategic Management. 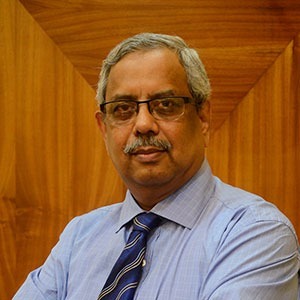 He has more than 31 years of experience in the Indian corporate sector, where he has been management consultant and educator. 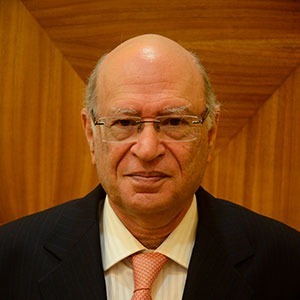 He is on the board of Grey Cells Education Ltd., Indoco Remedies Ltd., Neterson Technologies Pvt. Ltd. and Oil Field Instrumentation (India) Pvt. Ltd. Dr Naik is a trustee of Naigum Social Service Society, Family Home Guild of Service and the Indian Cancer Society. Mrs. Kavita Thadeshwar has completed her graduation in commerce and law with a specialization in banking, insurance, and taxation. She is currently a member of Institute of Company Secretaries of India (ACS). She has a valuable experience of over 13 years in corporate law compliance, SEBI Laws, Drafting and vetting legal documents and other legal affairs, liaison work, and corporate governance. 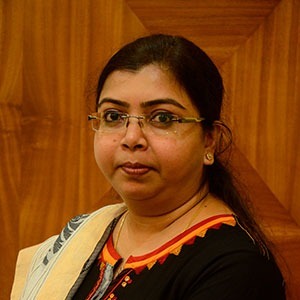 She has worked with reputed firms like Leela Group of Companies, and Mangalore Refinery & Petrochemicals Ltd. She has been associated with Dai–Ichi Karkaria Ltd. for more than 11 years. In her role, she heads the corporate and legal department, handling corporate law compliance and legal affairs of the company. She is also involved in CSR activities of the Company. Mr. Nitin Nimkar is a Chartered Accountant who has done his graduation from the University of Bombay and is a fellow member of Institute of Chartered Accountants of India. He also holds Certification in Information System Audit (DISA) from ICAI. He has a rich experience of more than 35 years in the field of accounting, auditing, taxation, information technology and cost control. 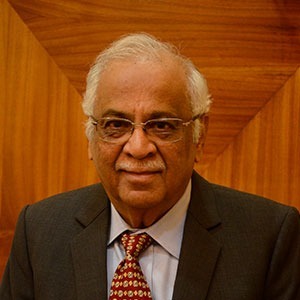 He has worked with various reputed business houses such as Bajaj Group, Camlin Group, Mahindra Group, Garware Group and HFCL Group. 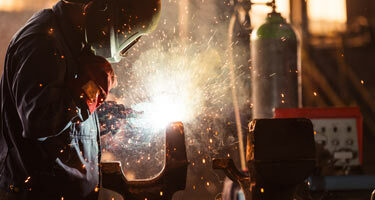 He has the appropriate blend of experience from manufacturing and service industry. He is associated with Dai-ichi since August 2008. He is responsible for business operations like finance, taxation, commercials and other related fields of the company. With strict financial discipline and efficient monitoring of working capital, the company has a status of being a ‘Debt Free’ company.